We’ve often heard that “the solution to pollution is dilution”, but according to one theory, the best way to reduce pollution in the first place may be to encourage economic growth. 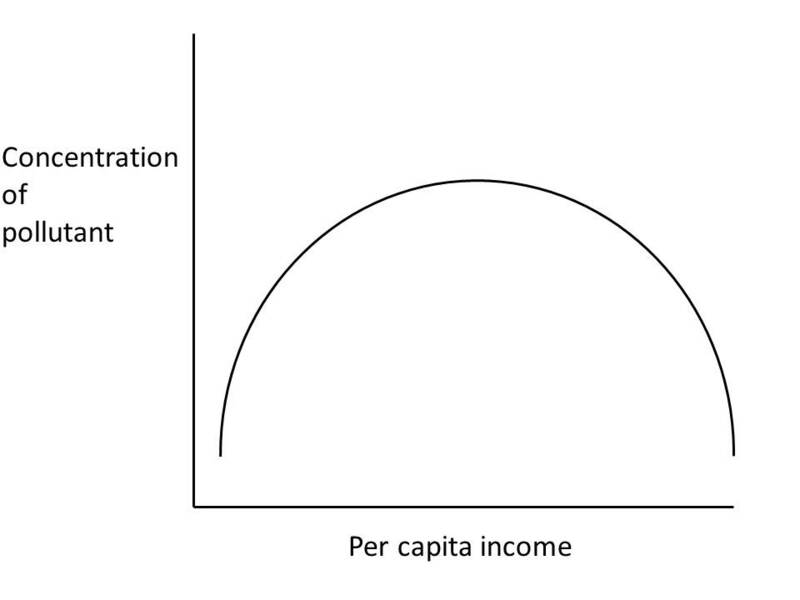 This is best modeled by a simple theoretical figure called a “Kuznets Curve”. According to the Kuznets curve, extremely poor nations pollute relatively little, partially because they lack the technology and resources for large-scale industry. Moderately wealthy nations have the technology for large-scale industry, but not the resources for pollution-reduction measures. The wealthiest nations are able to create large-scale industry and can also afford to purchase pollution reduction technology for their industries (or alternative industries entirely).